You might know the meaning of “Hanabi(花火)”, because it so popular and Japanese people gradually tend to talk about it in summer has begun. Hanabi means fireworks in Japanese. 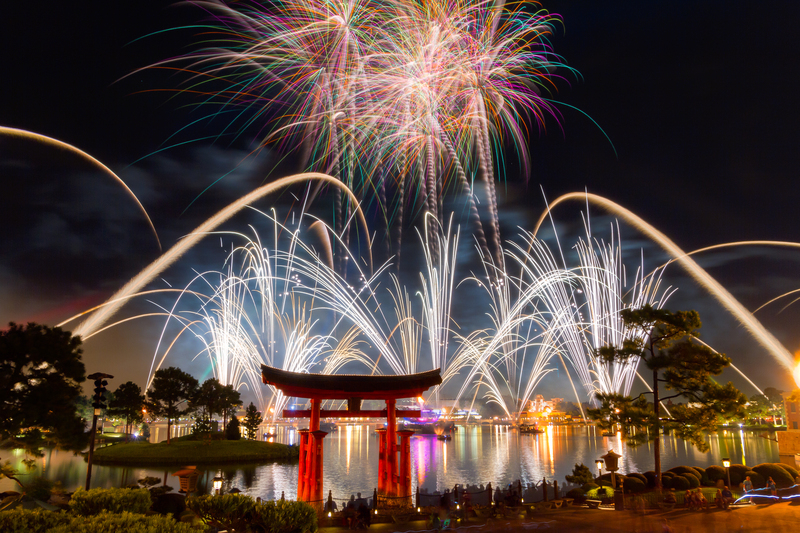 There are many kinds of Hanabi, but mainly all of Hanabi can be categorized two types: Temochi-Hanabi(手持ち花火) which means handheld fireworks, or Uchiage-Hanabi(打ち上げ花火) which means skyrocket fireworks. Around the middle July, Hanabi starts to go on the market and hanabi season rises. Especially about Temochi-Hanabi, most Japanese people share an unspoken rule on the order of doing Haanbi. Generally, a type of firework called Senko-Hanabi（線香花火）which means sparkler is tried in the end. I don’t know the reason, but many Japanese keep this rule. 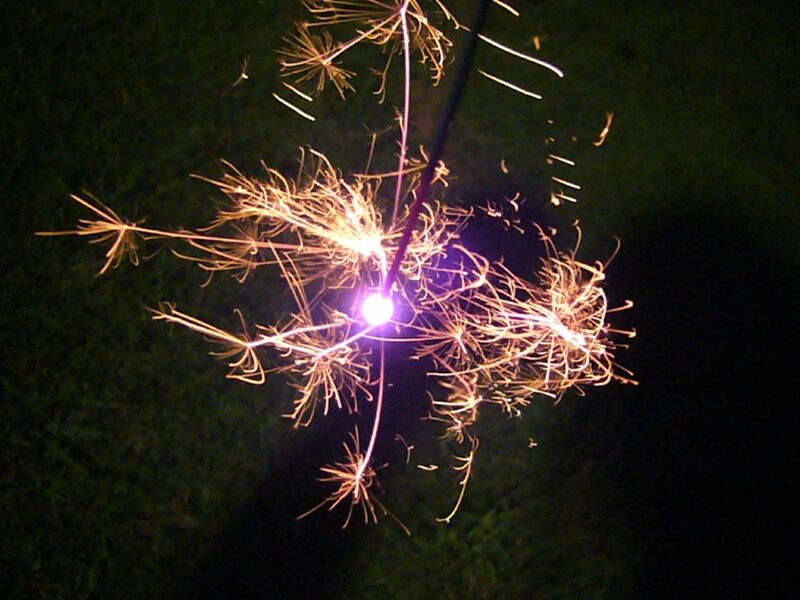 Sometimes sparklers are played to compete the time of lasting like a game. The end of burning a sparkler makes people feeling they lost something important like a life in the game or a joyful summer time, so people might prefer playing sparkler at the end. Mixed 2 shots for this Illuminations Finale. In addition to Temochi-Hanabi, Uchiage-Hanabi also makes people some ephemeral feeling after burning. It mainly starts to be seen from around the end of July. Many summer festival set off fireworks as a climax and to ends up festival. For most cities, summer festival is one of the greatest events, so they often prepare unique or enormous number of fireworks to make a difference to other cities. 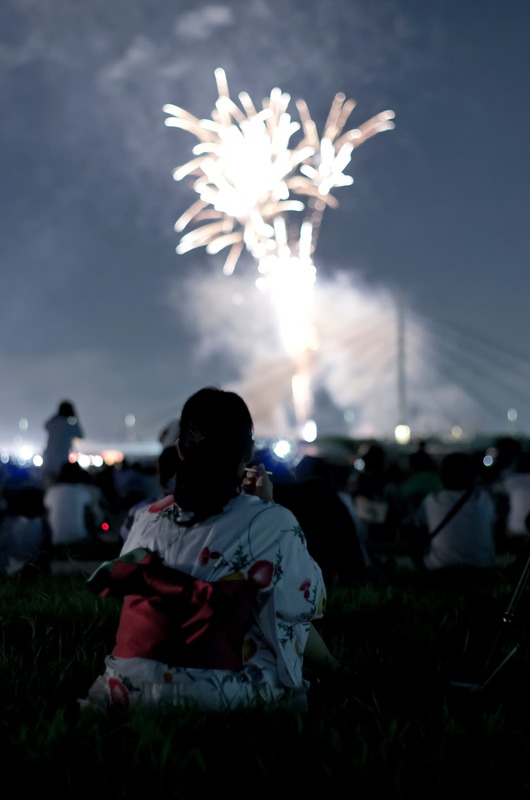 As a result, in many summer festivals crowded with tremendous number of people till the end of an event, because people come to see Hanabi and it often in the end of event. 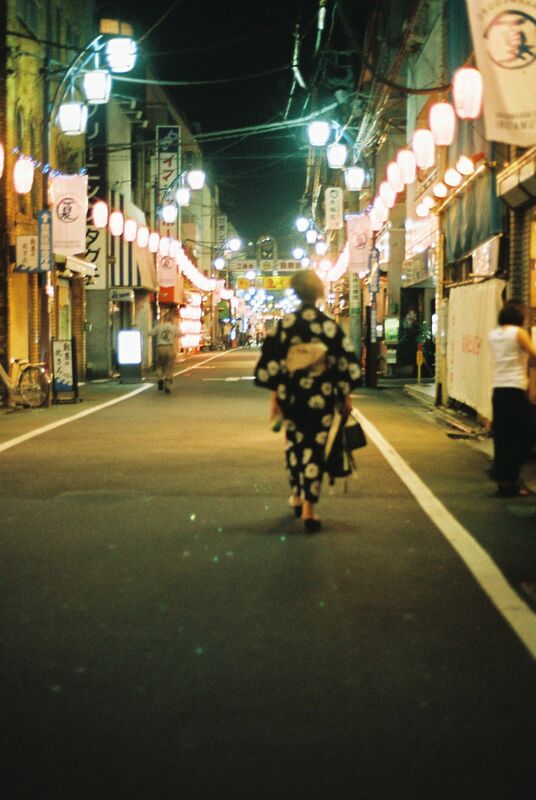 Summer festival is also good chance to wear Yukata(浴衣). Let’s go to summer festival, there are also some festivals in Tokyo. If you look for some events which include Hanabi, we are willing to help you to find it. ← How and why Sushi（寿司）was born in Japan?